Not even Michael Fassbender can help save this film from assassinating itself. 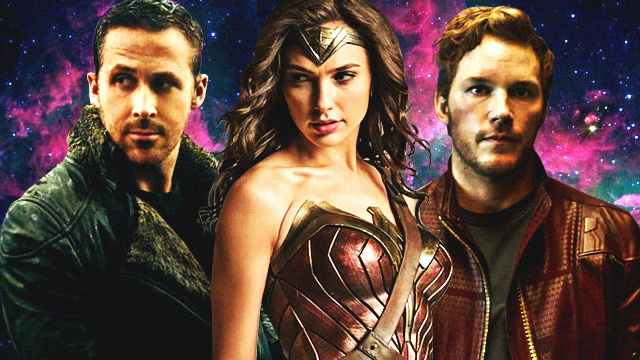 (SPOT.ph) Let's face it, we have yet to see an amazing video game-to-film adaptation. There have been many attempts (some have been somewhat successful commercially, such as Tomb Raider or Resident Evil), but on the whole, they're still not quite outstanding cinema. Assassin's Creed hoped to buck that trend. With a cinematic story to derive from, and some A-list talent behind and in front of the camera, this could've been the first actually terrific film based on a video game. Despite the likes of stars Michael Fassbender, Jeremy Irons, and Marion Cotillard making this whole affair look absolutely cool and badass, the story itself kind of flaunders when translated to the big screen. The Assassin's Creed video game series, which debuted in 2007 and has spawned numerous sequels and iterations, is about the centuries-old battle between the Assassins and the Templars. Both groups want peace but through different means. In the film, we meet Callum Lynch (Fassbender), a criminal on death row. After he is supposedly executed, he awakens in a strange place and looking face-to-face with Sophia Rikkin (Cotillard). Sophia is the leading scientist of the Animus project, and informs Callum that he is a descendant of a Spanish Assassin named Aguilar. Aguilar was helping protect the Apple of Eden (yes, the one from the Bible), as it supposedly holds the genetic code to free will. Meanwhile, Sophia's father Alan (Irons) hopes to use it to end all wars, but by taking away free will. Callum is strapped to a strange, claw-like machine that will retrieve his ancestors' memories and help him relive Aguilar's life—all in the hopes that it will lead them to the Apple. The film then goes back and forth between present-day Callum figuring out his true purpose, and Aguilar's (also played by Fassbender) adventures during the Spanish Inquisition. The best thing about Assassin's Creed is how it looks; the video game has always delivered greatly in its visuals, and the film doesn't disappoint. Director Justin Kurzel, who boasts a great sense of style and showmanship, is someone who somehow made William Shakespeare's Macbeth (which also starred Fassbender and Cotillard) look like a violent and epic war film. Specifically the sequences set in the past, mostly shot in Spain, is absolutely stunning. The video game's trademark parkour playstyle is used to full effect in an unforgettable fight sequence midway through the film. The production design, cinematography, and costumes are also on-point at every turn. Sadly, the rest of it just feels very empty and emotionless. 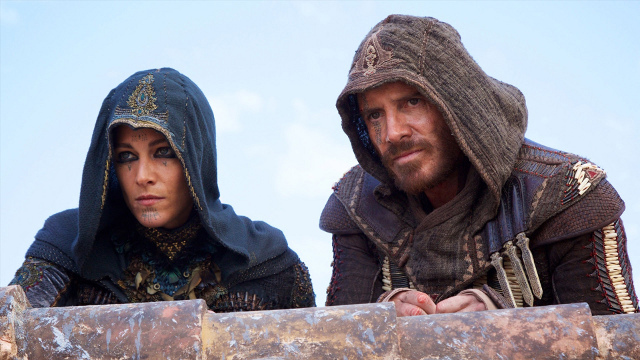 Fassbender is terrific as Callum but he is only defined as an angry person who is descended from assassins. Then you have a frigid Cotillard given very little to play with, as she's supposed to be authoritatively stiff. There is a group of supporting characters led by Moussa (Michael K. Williams) who are given little to no characterization, and will mean nothing to people who have never played the Assassin's Creed games. More talent is wasted with thankless roles for veterans like Irons and especially Charlotte Rampling, who pops up for just about two scenes. The biggest problem—and this might be the same issue with other video game adaptations—is that the viewer isn't actually playing a game; he's just watching a character do the cool jumps and kicks. This is most obvious in the sequences set in the past. Sophia notes that the past is the past, it cannot be changed; therefore, Callum is literally just going through the motions with no agency. Even if Kurzel films the action beautifully, you never feel that the lead character is in any danger. And because you're barely introduced to his sidekick (Ariane Labed), you don't care much for her either. By the end of its two-hour run time, the film feels like a very long set-up for a better sequel that the producers hope will come. In short, the video game lets the player take control of the assassin and you can "die" at any moment, which makes for a very fun time. In the film, the scenes set in the past are fixed, and this drains any dramatic tension. It's not until late in the third act that we get some present-day action that feels dangerous and exciting, but even then, it has characters who we've never really gotten to know. However, if you're a fan of the games, and are looking to just see how it's visuallu replicated on screen, then you won't be disappointed. The famous rooftop chases and the ridiculously high swan dives are all there, and they are stunning to watch. Unfortunately, that's hardly enough. 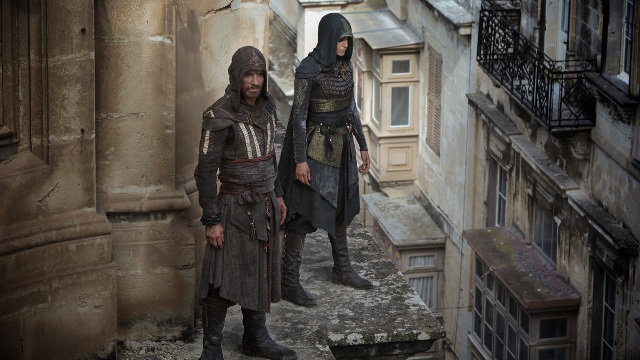 Assassin's Creed is now showing in theaters. Photos courtesy of 20th Century Fox.